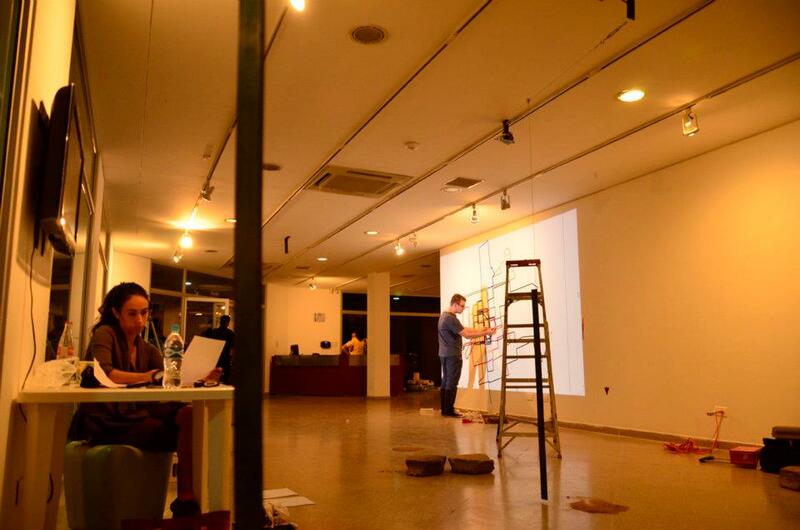 I was invited to participate in an exhibition at Fundacion Simon I. Patino in Santa Cruz, Bolivia by Natalia Gonzalez Requena and Phil Hessler. The show was called Delineadores, and we all decided to make site-specific work for the show. It was an amazing experience. The city is divided up in circular Anillos, or rings. There are at least 6 inner anillos. I thought this was interesting coming from DC where the beltway surrounds the city. I decided to make this a part of the walking project. I made the limits of the walk the first anillo, which worked out well since Patino is in the center of the city. 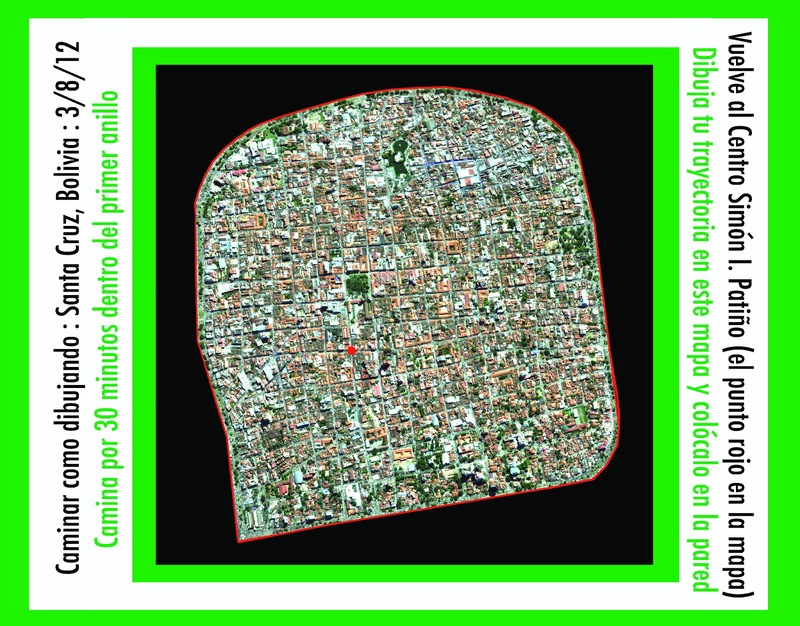 Residents of Santa Cruz met at Fundacion Simon I. Patino and picked up maps. We walked for an hour around sunset. 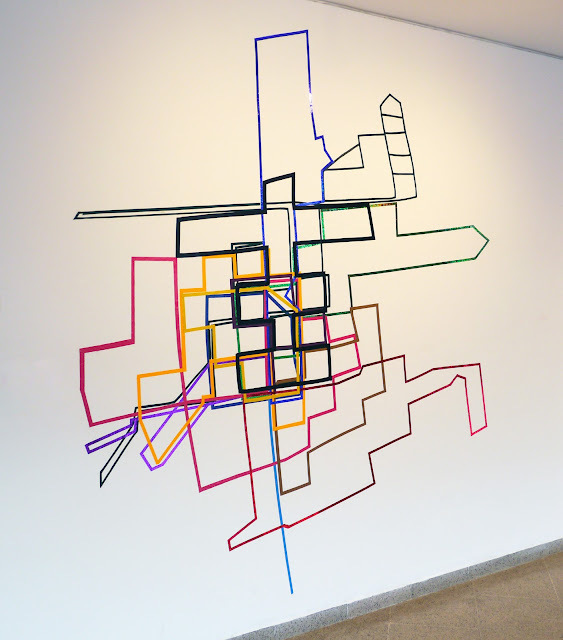 I took the abstract lines of the collected paths and made a wall drawing with tape collected from local shops. Some of the tapes were shiny and caught the light of passing cars. This was in front of a window on a busy street.